VONT Digital Marketing Blog: Deep diving into the Digital World. Digital Marketing is always changing – and the next sea change coming your way centers around the role video plays in the digital world. In 2016, the annual global IP traffic will surpass the zettabyte (1000 exabytes) threshold; by 2019 it will surpass double that. That’s an astounding statistic to contemplate – and the main reason for it is video. Want more? In 2015, video took up 57% of consumer internet traffic – that’s almost 4x as much as web browsing and email! And that percentage is only expected to increase to 69% by 2017 and 79% by 2018. 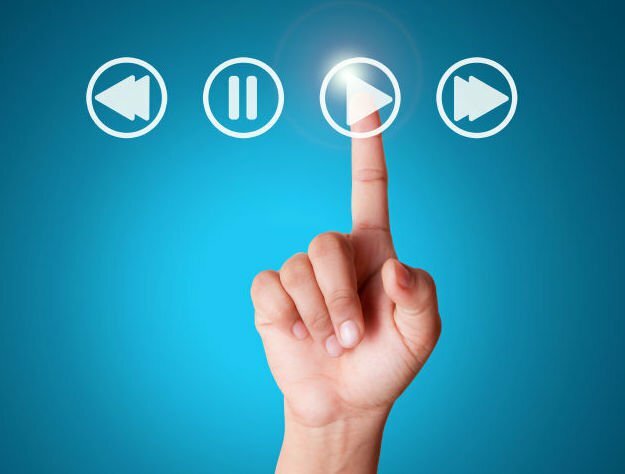 If you’re in business, you can no longer ignore digital video as part of your strategy. What makes video such a powerful digital marketing tool? Video is the best media format for storytelling. Video improves engagement time thereby improving organic search visibility. Video improves CTR (click-through-rates) and conversions. Video naturally resonates with users and is the most likely content format to be shared thereby gaining greater exposure, visibility, and conversions. Various studies now show that more than one-quarter of small businesses use web video – a figure that is predicted to rise as more and more realize its potential. At the same time, Nielsen claims 64% of marketers expect video to dominate their strategies in the near future – and it’s not difficult to see why. You’ve heard the old adage that a picture is worth a thousand words? There may be something to it, because 73% of all U.S. adults are more likely to make a purchase after watching an online video that explains the product or service. In fact, 92.6% of shoppers say visuals are the most influential factor affecting purchase decisions. In addition, video introduces a human element to the mix. Video more easily reinforces your message with intonation, eye contact, and phrasing that clarifies your intention. Your visitors can see you, share your emotions, and more easily develop a relationship with you. Gone are the days when moving a webpage up a search engine result page (SERP) entailed writing text frustratingly ladened with keywords. Today, search engines want to know that your content will be valuable to searchers, and nothing says ‘valuable content’ more than engagement or dwell time – the length of time users spend on a particular web page. And nothing increases dwell time more than video. 59% of consumers are likely to watch video on a website with brand content. Video not only engages visitors, but also it’s more likely to be shared by those visitors. Depending on your marketing objectives, your videos can live on both YouTube and on your website – effectively doubling your exposure to your prospective customers. Having your video on YouTube can increase your brand’s visibility in search fairly quickly, but if your video lives only on your website, it takes longer to build up your rankings and traffic. Think of your website as your own cable TV network. If optimized correctly, your website can act as your own cable network with a community of like-minded individuals who are already predisposed to your message. In this scenario, your important landing pages act like TV channels. Create explainer videos for each of your most important landing page channels to increase visibility, conversions, engagement, retention, and brand awareness. Instead of advertising on a 3rd party network such as radio or broadcast TV with less qualified prospects, video allows you to advertise specifically to your target audience. When you buy radio or TV advertising you pay for temporary access to an audience based on that channel’s demographics. However, by placing video on your site, you advertise to your target demographics. In addition, broadcast advertising is intrusive; your landing pages are not. Build your ideal audience in a number of ways via SEO, PPC, Social, email, video advertising, etc. All allow you to drive traffic to your key landing pages that use explainer videos to deliver your key messages and engage your audience. As an added bonus, retention is increased because viewers are more likely to bookmark or share your content than an advertisement broadcast on radio or TV. Placing a video on your key landing pages allows you to measure ROI, which is not possible with conventional broadcast media. In addition, web videos can rank in organic search themselves (essentially acting as video-on-demand) giving you additional exposure in the search result pages. By 2018, video will compose 79% of consumer internet traffic. Incorporating video into your website improves search visibility, increases your searchable footprint, is more persuasive, effectively builds trust and credibility for your brand. Businesses need to begin incorporating digital video as part of their marketing strategy today! At VONT we believe that change is the only constant in the digital world – and that excites us. When tools and environments are constantly changing, new opportunities to help our clients achieve success are constantly arising. Each new advertising technology, social platform, or design approach allows us to improve on the results we achieve for our clients. We believe in this idea of continual fine-tuning so much that we named our company VONT, which means to achieve exponential improvement in incremental steps. It is our core belief, and the reason why we are not simply a web design company or simply a digital advertising agency, but rather a long-term, single source partner providing a comprehensive array of web development and digital marketing capabilities. In short, we’re here so that our clients achieve success in the ever-changing digital world. If you’d like to learn more about VONT and the work we’ve done with our client partners, visit our Work page. Or, if you have a question, either leave us a comment below, or contact us. We’ll get right back to you! Learn about what digital success means for you. © 2019 VONT. All rights reserved.